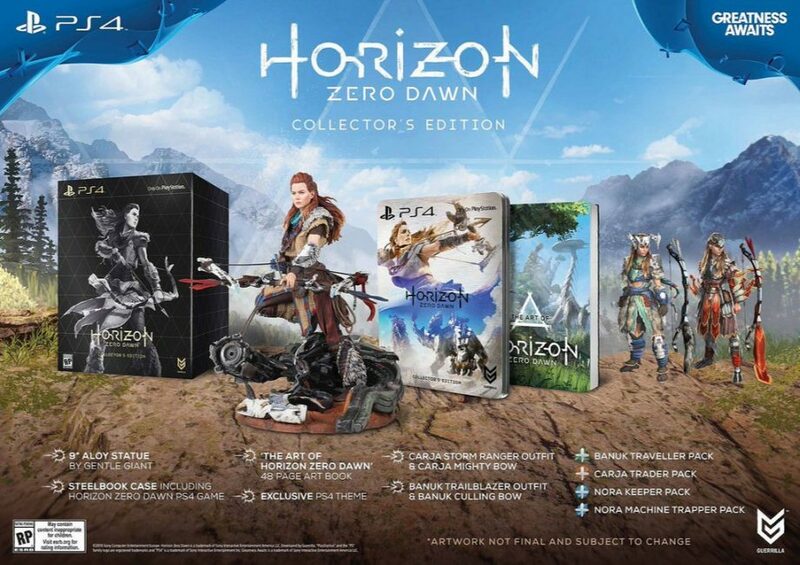 Horizon Zero Dawn Special Editions are just announced. The RPG style game is coming on February 28, 2017. Gentle Giant Studios and Dark Horse Comics coming together to bring extras for the game. Nora Machine Trapper Pack: a resource pack that includes modifications for your weapon and outfit, and resources for crafting ammo and traps. Nora Lookout Outfit: a unique outfit with enhanced camouflage and an extra modification slot. Nora Longshot Bow: a hunting weapon with improved accuracy and an extra modification slot. 2 Resource Packs: the Carja Trader Pack and the Nora Machine Trapper Pack. 2 Outfits: the Carja Storm Ranger Outfit and the Banuk Trailblazer Outfit. 2 Weapons: the Carja Mighty Bow and the Banuk Culling Bow. 9” Statue by Gentle Giant: Horizon Zero Dawn Collector’s Edition featuring heroine Aloy in amazing detail. 48-Page Artbook by Dark Horse: Horizon Zero Dawn Collector’s Edition featuring Horizon Zero Dawn concept art. Steelbook Case: with exclusive cover artwork. 4 Resource Packs: the Carja Trader Pack, the Banuk Traveler Pack, the Nora Keeper Pack and the Nora Machine Trapper Pack. 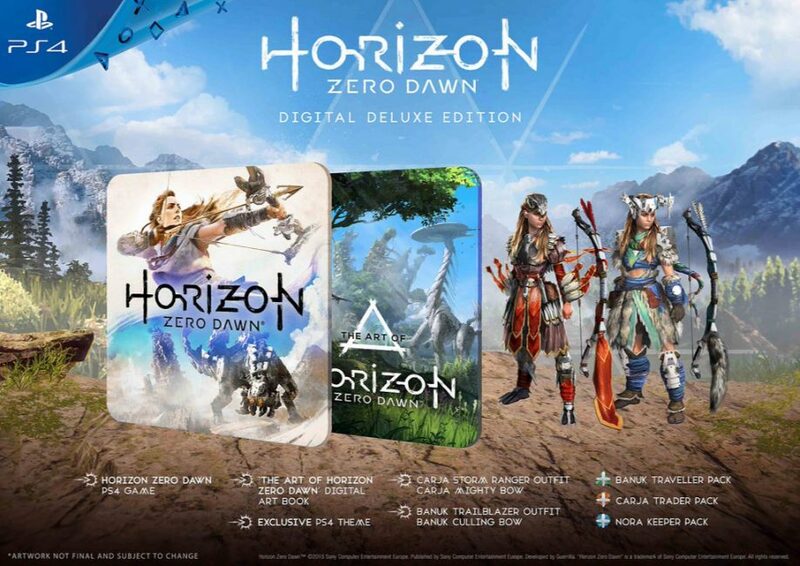 Digital Limited Edition of the game is only available from the PlayStation Store.